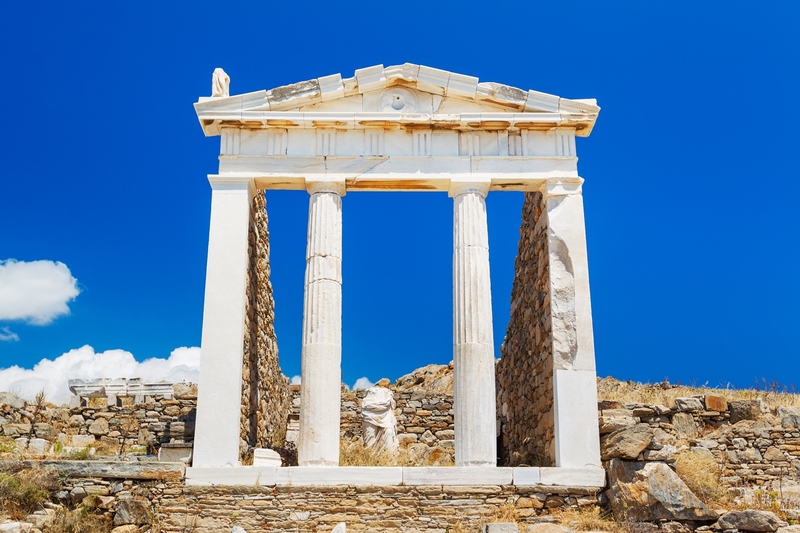 Delos is the Sacred Island of the Ancient Greeks, which according to mythology, was revealed among the waves of the Aegean to Leto, who was being chased by the jealous Hero; it was the refuge where she gave birth to Apollo and Artemis. 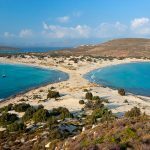 On Delos are found the admirably well-preserved ruins of one of the largest, most significant, and best- organized ancient Greek settlements. The island was first settled, probably by the Kares, about the 3rd millennium B.C. In the beginning of the 8th cent. B.C. it developed into a center of worship and was the capital city of an amphictyony of Aegean island. At the end of the 6th cent B.C., the tendency of the Athenians was to take over the island: IN 540 B.C. Peisistratos ordered the first purification of the sanctuary. As a result of the second purification (426 B.C.) the entire contents of all the islands graves were remove to neighboring Rhenia. Afterwards in order to prevent desecration of the sanctuary, both births and deaths were forbidden on the island of Appolo. During the Roman period, the island thrived, until, until 88 B.C. ; the population included Egyptians, Syrians and Italians. Then, after two dreadful attacks during the Mithridatic War, Delos went into decline and was finally abandoned in the 6th cent A.D. In the 1873 the French Archaeological School of Athens started excavations and restoration enabling the wealth of the islands history to be revealed to everyone who is interested. The Archaeological Museum of Delos house one of Greece’s most significant collections, including rare exhibits of ancient sculpture ceramic vessels, epigraphs and wonderful mosaics etc. 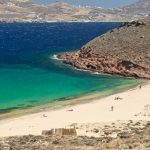 The sites of Delos and Rhenia are under the protection of the Ministry of Culture; thus, both the mooring of private boats there and staying overnight without official permission are strictly forbidden. On the left from the harbor is the Agora of the Competialists (circa 150 BC), members of Roman guilds, mostly freedmen and slaves from Sicily who worked for Italian traders. They worshiped the Lares Competales, the Roman “crossroads” gods; in Greek they were known as Hermaistai, after the god Hermes, protector of merchants and the crossroads. The Sacred Way, east of the Agora, was the route of the procession to the sanctuary of Apollo during the holy Delian festival. The Propylaea, at the end of the Sacred Way, were once a monumental white marble gateway with three portals framed by four Doric columns. Beyond the Propylaea is the Sanctuary of Apollo; though little remains today, when the Propylaea were built in the mid-2nd century BC, the sanctuary was crowded with altars, statues, and temples — three of them to Apollo. Inside the sanctuary and to the right is the House of the Naxians, a 7th- to 6th-century BC structure with a central colonnade. Dedications to Apollo were stored in this shrine. Outside the north wall a massive rectangular pedestal once supported a colossal statue of Apollo (one of the hands is in Delos’s Archaeological Museum, and a piece of a foot is in the British Museum). Near the pedestal a bronze palm tree was erected in 417 BC by the Athenians to commemorate the palm tree under which Leto gave birth. According to Plutarch, the palm tree toppled in a storm and brought the statue of Apollo down with it. Southeast of the Sanctuary of Apollo are the ruins of the Sanctuary of the Bulls, an extremely long and narrow structure built, it is thought, to display a trireme, an ancient boat with three banks of oars, dedicated to Apollo by a Hellenistic leader thankful for a naval victory. Maritime symbols were found in the decorative relief of the main halls, and the head and shoulders of a pair of bulls were part of the design of an interior entrance. A short distance north of the Sanctuary of the Bulls is an oval indentation in the earth where the Sacred Lake once sparkled. It is surrounded by a stone wall that reveals the original periphery. According to islanders, the lake was fed by the River Inopos from its source high on Mt. Kynthos until 1925, when the water stopped flowing and the lake dried up. Along the shores are two ancient palaestras, buildings for physical exercise and debate. One of most evocative sights of Delos is the 164-foot-long Avenue of the Lions. These are replicas; the originals are in the museum. The five Naxian marble beasts crouch on their haunches, their forelegs stiffly upright, vigilant guardians of the Sacred Lake. They are the survivors of a line of at least nine lions, erected in the second half of the 7th century BC by the Naxians. One, removed in the 17th century, now guards the Arsenal of Venice. Northeast of the palaestras is the gymnasium, a square courtyard nearly 131 feet long on each side. The long, narrow structure farther northeast is the stadium, the site of the athletic events of the Delian Games. East of the stadium site, by the seashore, are the remains of a synagogue built by Phoenician Jews in the 2nd century BC. A road south from the gymnasium leads to the tourist pavilion, which has a meager restaurant and bar. Immediately to the right of the museum is a small Sanctuary of Dionysos, erected about 300 BC outside it is one of the more boggling sights of ancient Greece: several monuments dedicated to Apollo by the winners of the choral competitions of the Delian festivals, each decorated with a huge phallus, emblematic of the orgiastic rites that took place during the Dionysian festivals. Around the base of one of them is carved a lighthearted representation of a bride being carried to her new husband’s home. A marble phallic bird, symbol of the body’s immortality, also adorns this corner of the sanctuary. Beyond the path that leads to the southern part of the island is the ancient theater, built in the early 3rd century BC in the elegant residential quarter inhabited by Roman bankers and Egyptian and Phoenician merchants. Their one- and two-story houses were typically built around a central courtyard, sometimes with columns on all sides. 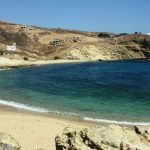 The Archaeological Museum is also on the road south of the gymnasium; it contains most of the antiquities found in excavations on the island: monumental statues of young men and women, stelae, reliefs, masks, and ancient jewelry. The Museum of Delos was built in 1904 and today has nine rooms. In the museum you can see amazing specimens of archaic sculpture, the famous Kouros, which chronologically placed in 6th century. Other important exhibits of the same period is the Sphinx, the inscribed base of Efthykratidis and other statues. The classical period from 499 BC until 323 BC represented by more statues, such as the amazing complex of Boreas to grabs Oreithyia. The phone of Delos museum is +30 22890 22 259 and the entrance to the museum costs 12 euros (which includes the visit to the archaeological site of Delos), with reduced ticket is at 6 euros. 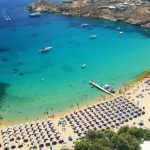 The ticket price is 20 euros which includes and your return back to the Island of Mykonos. The tours are daily. From November itineraries is an every day except Mondays and from December 1 to March 31 a route every Friday and Sunday. 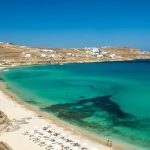 Is not necessary, but if you want, you can find certified guides from the port of Mykonos, where take guided tours for groups. Usually the fee is 10 euros. 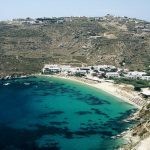 To stay at night in Delos is prohibited. If you want to spend more time on Delos you should visit the Island more often. 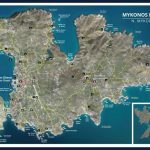 You can book your stay in a Hotel in Mykonos, where is the nearest island for travel to Delos.